Our children are growing up in a world where active shooter drills are the norm. 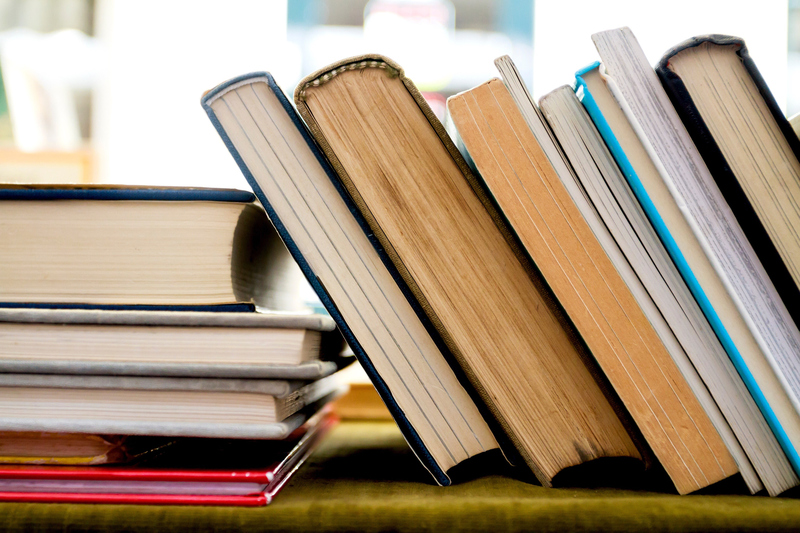 Here are some reads to help us navigate the tragedies that are all too common. I was mom to a 3-year-old when the Sandy Hook shooting took place in December of 2012. I had just moved from NYC to suburban New Jersey, and the tragedy shook me to the core. On December 23, it will be six years since the unlikely activist in me organized a candlelight vigil at our local duck pond. Sadly, since then, school shootings have not become an extinct species. Instead, my daughter is growing up in a strange world where active shooter drills are the norm, an America where children as young as nursery school are expected to hide in the corners of classrooms and in closets as they learn the protocol of lockdown drills. As a parent, I often ask myself: What can I do to prepare my child for this strange world she has inherited? What impact will the experience of growing up in the shadow of mass shootings in schools have — not just on my own child, but on an entire generation of children in the years to come? And, as a creator of children’s media, I ask myself: Is there a meaningful resource that my studio can develop to strengthen this “Parkland generation” in the face of their new reality? I have always believed that storytelling is a powerful tool for change and healing. As we approached the six year anniversary of Sandy Hook earlier this month, I was inspired by the #ArmMeWith hashtag that went viral in early 2018. Started by two teachers, it was a response to President Trump’s suggestion that teachers be armed with guns to protect their students. At Literary Safari, we decided to create an #ARMMEWITHBOOKS book list, as a companion resource to our graphic novella, William H.G. Butler Middle School. We invited children’s authors to answer these questions: What is a must-read for children growing up in these challenging times of lockdown drills and mass shootings? What are books that can offer hope in these hard times? The response to our call was resounding. Over 50 award-winning, diverse children’s authors, illustrators, and librarians participated and sent us extensive recommendations. In fact, it took us several months to cull through their picks to curate our final #ArmMeWithBooks list. Here they are. share this list with at least one of your favorite educators, librarians, or parents in your personal networks. Whether you are a parent, teacher, librarian, administrator, caregiver, or mentor — this list can help you arm the young people in your life with mirrors that reflect their fears and hopes, doorways to explore complex topics, and windows into real and imagined worlds that inspire resilience, empathy, and compassion. 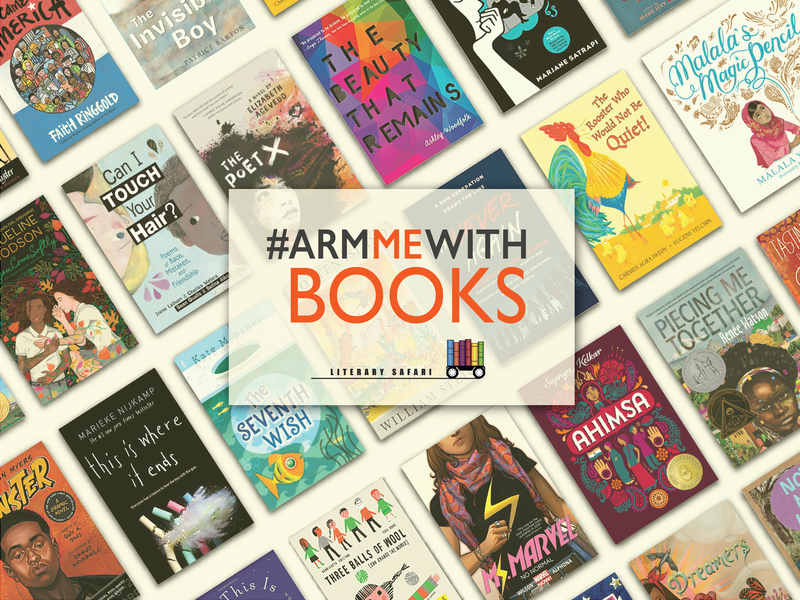 You can download the complete #ArmMeWithBooks book list here. It features an original poem by Nikki Grimes, winner of the 2017 Children’s Literature Legacy Award, recommendations from over 50 diverse children’s authors including Newbery award-winners Katherine Applegate and Linda Sue Park, and notes from each of our participating authors on the reasons why they recommended specific titles. Note: The concept of books as windows, mirrors, and sliding glass doors was originally articulated by Dr. Rudine Sims Bishop. Sandhya Nankani is the founder and publisher of Literary Safari, an award-winning studio based in NYC that designs and creates inclusive children's media. Her writing has been published by The Lily (Washington Post), Quartz, Ms. Magazine, Joan Ganz Cooney Center at Sesame Workshop, and Toca Boca Magazine, and she has presented at conferences including Google EdFoo, Games for Change Festival, OMEP (Organisation Mondiale pour l’Education Préscolaire” (World Organisation for Early Childhood Education and Care) World Conference, and and UNESCO Forum on Global Citizenship Education. Born and raised in Ghana, India, and the United States, Sandhya is also a founding member of KIDMAP (Kids' Inclusive and Diverse Media Action Project), a grassroots coalition of children’s media professionals committed to representation in digital content for children.